KSKQ to Livestream Portland Blues Festival Saturday. “Brain Labor Report” Previews Bluesman Artist Norman Sylvester. The Brain Labor Report (BLR) will host Norman Sylvester at 9AM this Wednesday, April 18, 2018, and KSKQ (94.5 FM) will broadcast live the 7th annual “Healing the Healthcare Blues” Inner City Blues Festival featuring Sylvester on Saturday from 5 PM to Midnight. The radio feed will be “live” from Portland, Oregon via KBOO Community Radio. Blues singer Norman Sylvester (dubbed the “Boogie Cat”), whose band is considered one of the best loved Rhythm & Blues bands in the Northwest, with their extensive songbook & danceable grooves will be previewed on the BLR Wednesday. Sylvester was inducted into the Oregon Music Hall of Fame in 2011, received the Cascade Blues Association “Life Time Achievement Award” in 2013, and “Back What You Believe In” Award in 2017 for his work on the Universal Healthcare campaign. The band also won “Best R&B Band” awards in 2015 & 2017 . Norman believes strongly that “Healthcare is a human right”, and he responds regularly when called upon to play community fundraisers & benefits for those in need. 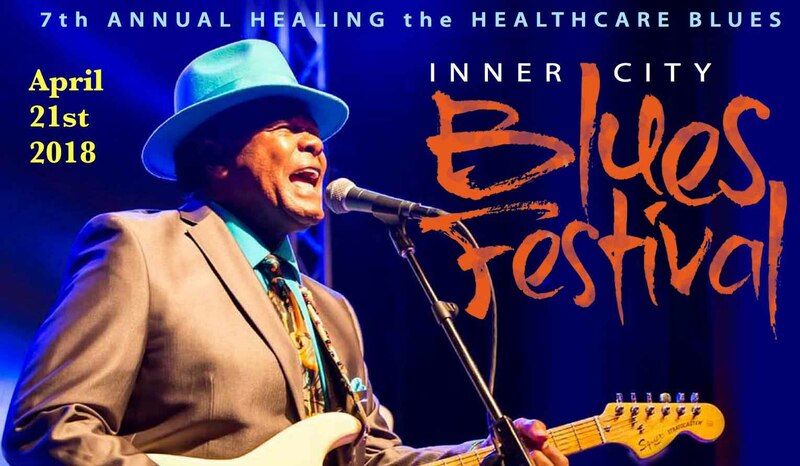 The “Healing the Healthcare Blues” festival is Norman’s response to seeing friends and family suffer from the current health care system’s failures.